← Meeting Maureen, a GOLDEN opportunity! The year is 2015, and the world is divided and fighting a war in space with robots to avoid loss of human lives. Teenagers are being selected and provided with supercomputer implants in their brains, then trained to control the ships and eventually win the fight. Massive corporate companies control everything, and Tom and his friends are stuck in the middle of it. 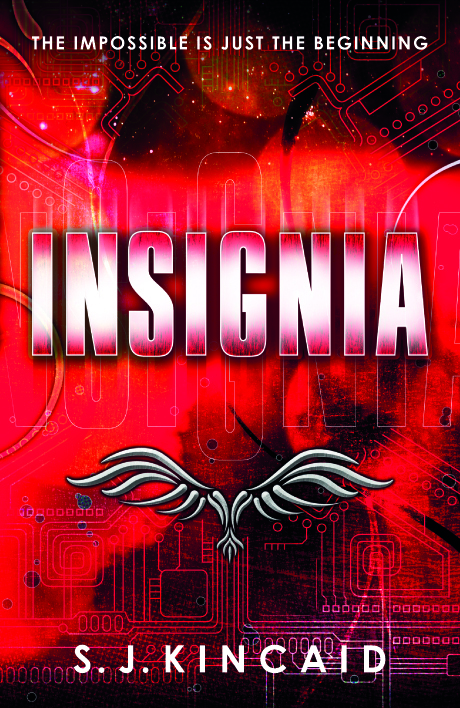 With a fantastically futuristic, yet realistic world, incredible technology and immediately loveable characters (even the bad guys), Insignia definitely became a new favourite. And Vortex didn’t let it down. In Vortex, Tom has returned to the Spire for his second year, as a Middle. He has access to new rooms, new skills and new weapons, and an opportunity to win over the Coalition companies and become a Combatant. The year starts with aspects of both light and dark. Wyatt and Vik are still at (well-intentioned) war, constantly thinking up new programmes to use against each other; and life at the next rung of the food chain looks to be action-packed, exciting and hilarious. But, after Tom publicly uses his special gift — being able to interface with any machine – Medusa is already on his case. Tom must try and succeed at the Spire whilst also keeping his talent under the radar, keeping it a secret from men like Vengerov lest he find out not only about Tom, but Medusa too, and try to fashion them into weapons. The plot is bursting with mystery, action, and excitement with more twists and turns than the magnetised vactrains in the interstice. The Spire faces difficulties; someone is hacking the sims and Blackburn is becoming more and more angry and distrustful, continuing his vendetta against Vengerov. Tom is having difficulty working out whether Blackburn is an evil maniac, or someone who he can trust to protect his secret. Things are changing in the Spire’s social hierarchy: Elliot Ramirez is starting to doubt his place in the Spire and looking for a way out, whilst the gorgeous but untrustworthy Heather will do anything she can to get to the top, no matter how ruthless her methods or who she betrays. Tom encounters problems of all kind: struggling friendships, career failures, blackmail, personal loss, severe mental and physical traumas, and doubts of Yuri’s loyalty; whilst also developing his relationship with Medusa. Tom has to balance his association with the enemy, and his desire to get to the top of the Spire, without ruining both. 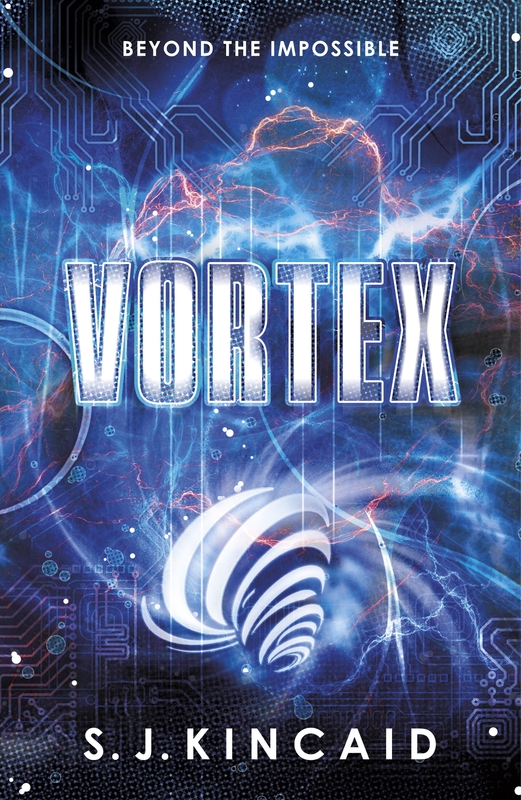 With more machines, technology and action, Vortex is fast-paced and exciting from start to finish. Incredibly witty and very well written, narrated with a wonderful, mischievous voice, it is a story of friendship, politics and war, and creates a world buzzing with life and technology, corruption and power (as well as proposing a logical war strategy, that, if it ever came to it, the world should definitely consider in the future!). A book that anyone can, and will, enjoy. This entry was posted in Our books. Bookmark the permalink.